You need to learn to crawl before you can walk if you want to Manage Multiple Marketing Channels Like a Pro. There is no escape from marketing these days. Television, radio and print have been given a run for their money by mobile ads, social media ads, video ads, remarketing ads, emails, promotions and what not. The 2015 Digital Marketer report by Experian shows that just 4% of brands engage in true cross-channel marketing where the customer experiences a unified journey through integrated channels. Even though brands have access to so many more mediums to reach out to their users, the final impact on users leaves a lot to be desired. Data from Blue Research shows that 94% of consumers discontinue brand relationships due to irrelevant ads or promotions. That’s a lot of wasted marketing dollars. Anyone who has attempted to manage multiple marketing channels and adapt their messaging accordingly knows that it is no piece of cake. You can now take heart in the fact that you’re not at all alone in feeling this way. According to Forrester’s research, the biggest hurdles in creating impactful multi-channel campaigns are the lack of enough people to manage processes (49%) and lack of the right knowhow (42%). 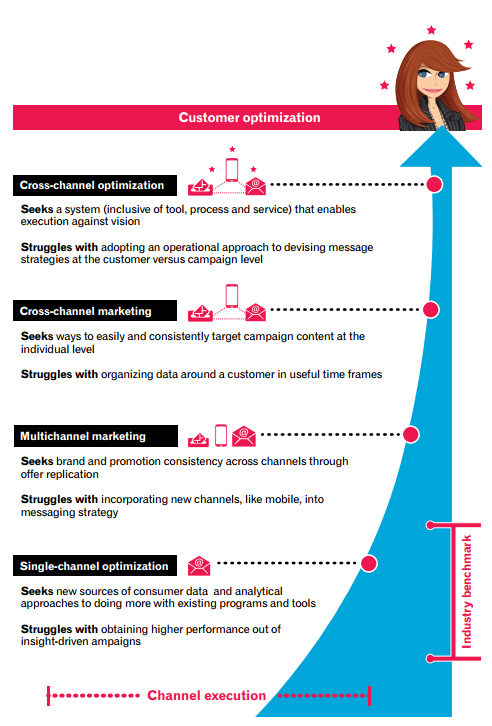 All of this discouraging data is no reason to abandon your cross-channel optimization efforts altogether. This new marketing paradigm of reaching users on every platform that they’re on, with communication that is tailored to that channel, is a reality that will only become more entrenched in the future. The only way to run a robust, forward-looking business is by embracing a cross-channel marketing practice today. 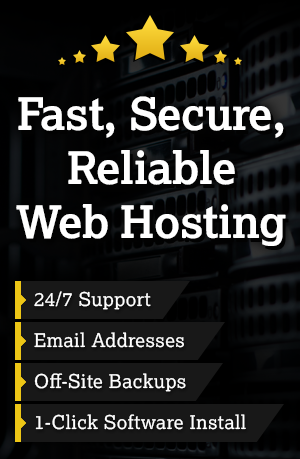 What your competitors are up to ought to be your last concern. By keeping your marketing channels down to the truly essential ones, you ensure that your resources are not stretched to the maximum. Every channel has its unique strengths. While search marketing is great from an acquisition perspective, display does wonders for awareness building. Figure out your communication goals and assign them to your channels according to what they can deliver best. Goal setting for channels must align with one another, as in a multi-channel scenario, different channels feed into one another. A lead from your content marketing program may eventually be converted by your email campaigns. Creating conversion goals for each channel helps you see their individual ROI at the end of the campaign period. Besides your regular goal setting spreadsheets, use Google Analytics to set multi-channel conversion funnels to make conversion attributions easier and more transparent. This is easier said than done, and you need to have a precisely defined attribution model that works for you before you can measure your progress accurately. 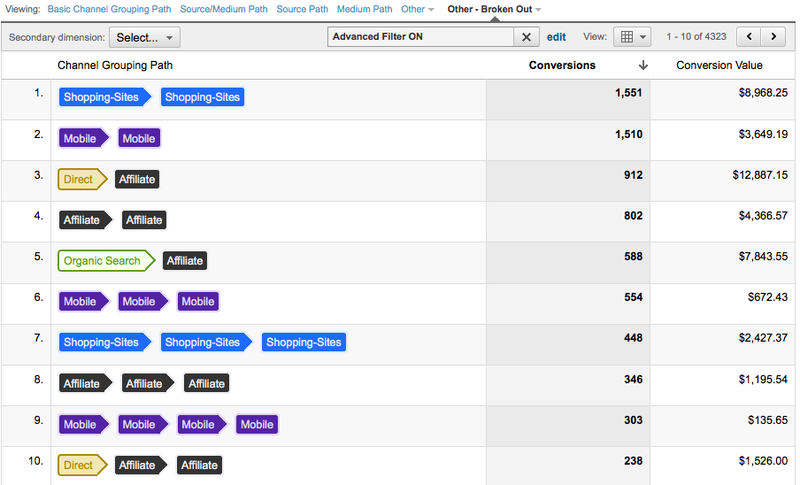 Read more about channel groupings in Google Analytics here and here. There is no shortage of data being captured across various media, platforms, channels and devices. However, this piecemeal data that we’re stuck with offers no clue about the transition that a customer makes from his smartphone to his laptop to a television set or an iPad. 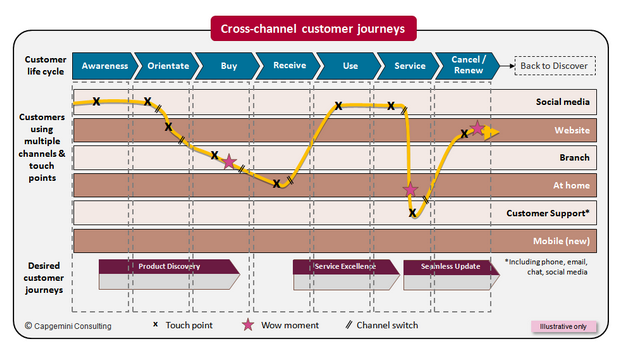 The only way to get meaningful data that can be used in your multi-channel campaigns is by tracking customer journeys across each channel. Tools like Tapad and MediaMath allow businesses to create content specific to each device they’re targeting and tells them exactly when to advertise on which platform. While Tapad uses first-party and third-party user information to identify users across devices and platforms, MediaMath builds algorithms that track users across devices based on location data, device ID and operating systems. Put in place a process that captures all of this rich cross-device data in one location and use it to design your cross-channel marketing programs. A key problem highlighted by multiple studies on cross-channel marketing is the lack of trained personnel to strategize and implement these campaigns. While it is a good idea to try a DIY approach to save a few dollars, achieving cross-channel optimization requires high-level knowledge of complex marketing platforms and paradigms that a novice who’s winging it can’t hope to match. If getting new people on your payroll seems too expensive, try the next best option: Get consultants on board who can put together the bones of your campaign, offer your team guidance on using the right tools, goal setting, conversion tracking, channel specific messaging, and other analytics fundamentals. Agencies with a proven track record in cross-channel marketing are another safe bet to manage your campaigns and offer real results. Finally, the most important aspect of multi-channel marketing—communication. A lack of interaction between the SEO team and content writers, or the social media team and the PR personnel can result in disconnected, overlapping work. As we discussed in earlier sections, this inherent tendency of teams to work in silos is a major cause of weak cross-channel campaigns. Surmount this barrier by getting your different departments within the marketing function together on a collaboration tool like Wrike. It not only allows individuals and teams to create their own projects, but these projects can also be easily shared with other groups with progress and status updates. Simple @mentions help users across teams to communicate instantly within the context of a project. Easy document sharing makes collaboration on multi-channel content creation a breeze. A recent survey by Marin, shows marketers apprehensive about the challenges of the growing interface between different marketing channels. 75% of them believe that their jobs have become harder over the past year. 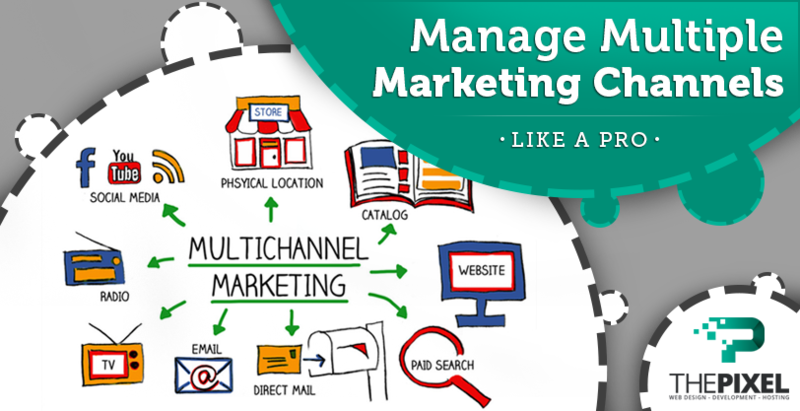 An organized approach to multi-channel marketing ensures that this apprehension of the unknown is a thing of the past. Instead of being afraid to take on multiple marketing channels, adopt a steady, informed and collaborative approach to cross-channel marketing to reach out to your audience at the right time, every single time.